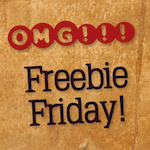 Freebie Friday ‘Silent and Scary’ Edition. Win a Free Redbox e-Gift Card! A Quiet Place, the terrifyingly (mostly) silent horror flick from John Krasinski, hit Redboxes everywhere this week. Let’s talk about scary movies and how we’ve dealt with them! Have you ever walked out of/turned off a movie because it was too scary? No, I have not ever walked out of a movie due to it being scary. Have shut them off if they are stupid though. I have not, because I choose to not watch the really scary ones? I have quit watching some because they weren’t scary, just stupid. Yes, I have turned off a movie because it was too scary! Not because it was scary, but sometimes if they’re too slow. Don’t remember ever walking out on a scary movie. Have walked out of several BAD movies. No, but as a child, I used to hide under a blanket during part of “Shock Theater” on Saturday afternoon TV. Those old black & whites can really scare a little kid. No, but I have stopped watching BAD or STUPID ones! My 17 year old Grandson and I left the movie half-way through because we could not stand to watch the possibility that the family members would be discovered! No I’ve never seen a movie that’s too scary. When I was a child I watched the Wolfman with Lon Chaney and that night in our bunk beds my twin sister would scare me by make faces. Of course not! I love scary movies. Yes. I don’t really watch scary movies. No, I have not walked out of a scary movie. Maybe closed my eyes for a minute. The terror is all the fun. I have not walked out of a movie, but walked away from scary video games. The original Resident Evil and Call of Cthulhu. The two movies I have walked out on were, Joe’s Apartment (1996) and the the original, Death Race 2000 (1975). No I have never walked out of a movie because it was to scary. No, I have never walked out of a scary movie. There are many poor, bad and horribly awful movies I should have. But like many others, I am morbidly curios to know how it ends. No way!! There have been some that I probably should have, but that wasn’t because it was too scary, more because it was just a horrible, slow, or completely stupid movie. Lol. same question 3 weeks in a Row??????????? ?